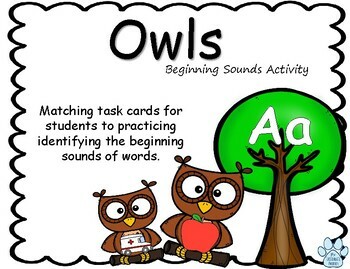 Help you students practice identifying the beginning sound of words by using this owl activity! 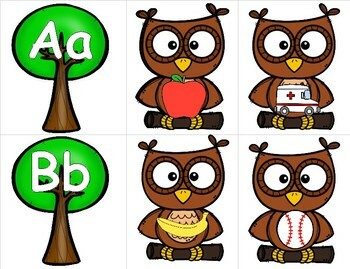 Students will match up trees and owls by the beginning sounds of pictures! Each letter of the alphabet is represented by a tree. 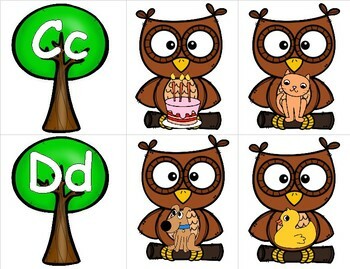 The tree contains the letter to focus on...the owls contain pictures that begin with the letter on the tree. Each letter has two owls to match. 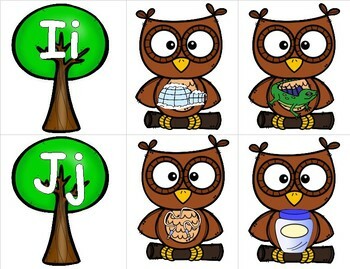 All of the vowel trees focus on the short vowel sounds only. This activity was created using PowerPoint. It was converted to a PDF document for uploading on this site. Please make sure you have access to the proper software before downloading.